What�s more comforting than a good book for a cozy evening? 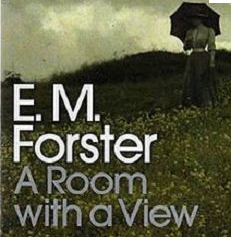 Cuddle up and download E.M. Forster�s most celebrated classic, A Room with a View. Edward Morgan Forster was an English novelist and short story writer best known for his works that examines class difference and hypocrisy in early 20th century British society. Through his lifetime, he had published five novels including Where Angels Fear to Tread (1905), The Longest Journey (1907), A Room with a View (1908), Howards End (1910), and A Passage to India (1924). Maurice (1971) was published shortly after the writer�s death. A Room with a View talks about the story of Lucy Honeychurch, a young English middle-class girl who finds herself in the crossroads of social acceptance and true love. During a vacation in Italy, Lucy meets George Emerson and Cecil Vyse who will fall in love with her. She accepts Vyse�s marriage proposal but George protests upon hearing about their engagement. Now, the girl needs to choose between Vyse (a socially acceptable partner) or George (her true love). Painting vivid images full of flavor, this is indeed a colorful novel that delves on the concepts of gender, passion, romance, and society. As the book progresses, Lucy�s character is awakened into an evolving woman with a voice of her own. The social commentary on the novel was clearly showcased. I love how the drama itself was conceived from the webbed social classes that the characters represent. All in all, A Room with a View is a pure tale of romance foregrounded by a liberal message. It�s that kind of book that will stir your heart and mind.